How are your weeks going so far? It is a winter wonderland here in Chicago. Holla! Such a simple, almost silly statement, but so impactful nonetheless. I know as a woman I can sometimes struggle with discerning whether or not an outfit honors God or not… And I know I’ve seen too many attractive women eclipse their God-given beauty with lack of discernment in clothing, cosmetics, etc. I also don’t think this verse only applies to physical appearances, but to discernment in speech, relationships and choices as well. Beauty will only get you so far in this life; at the end of the day, lack of discernment will get you looking pig-snout-ish. This morning was a sweat-it-out-at-home kind of workout. 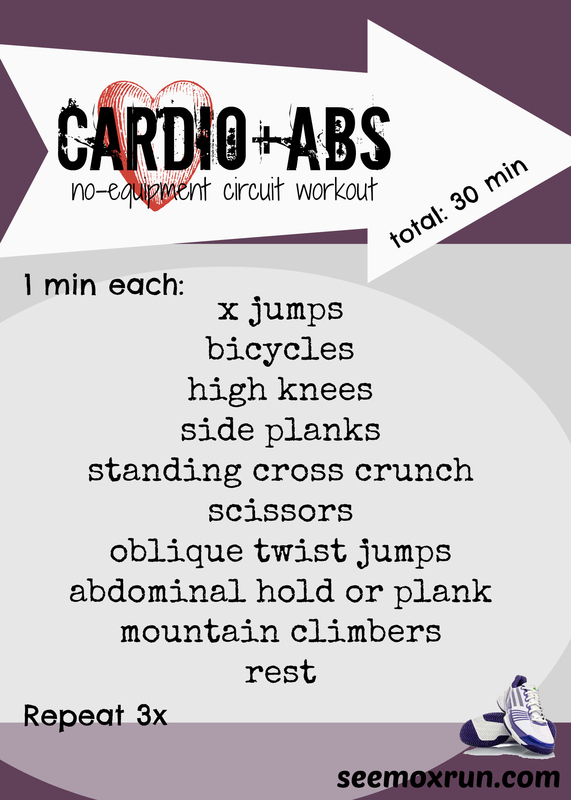 I loved how the cardio exercises incorporated the abdominals, maximizing the workout as a whole. For examples of some of the exercises, check out my exercise pictures page.